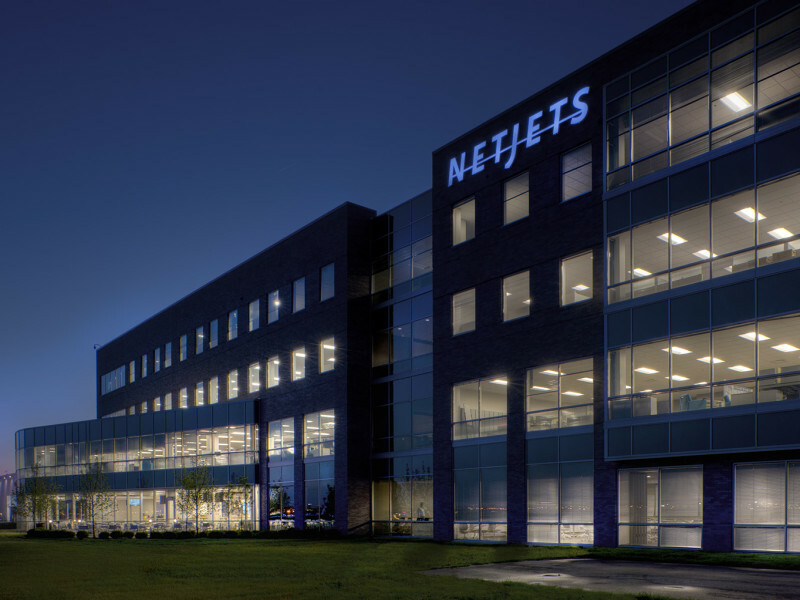 NetJets, the world’s largest private jet operator, decided to consolidate their 1,300 employees in one location by building a new corporate headquarters next to their existing operations center. 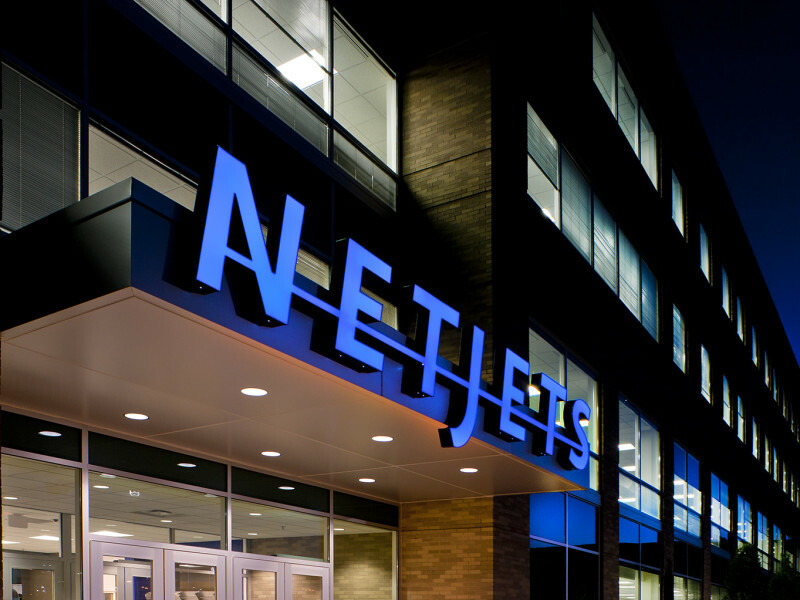 Located at Port Columbus, this project added 155,000 sq. ft. of office and training space with a bridge to the existing facility. 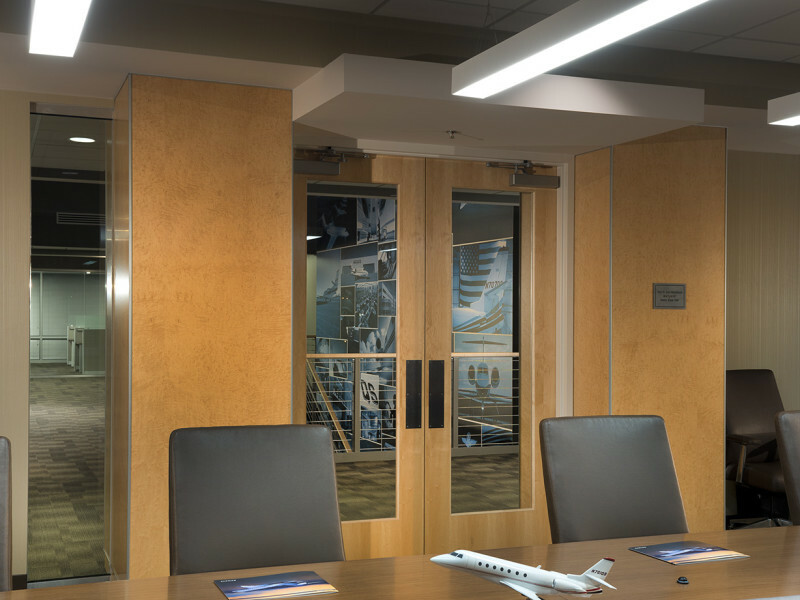 The building faces the runways at Port Columbus and glass walls and extensive windows embrace the view of the airport. 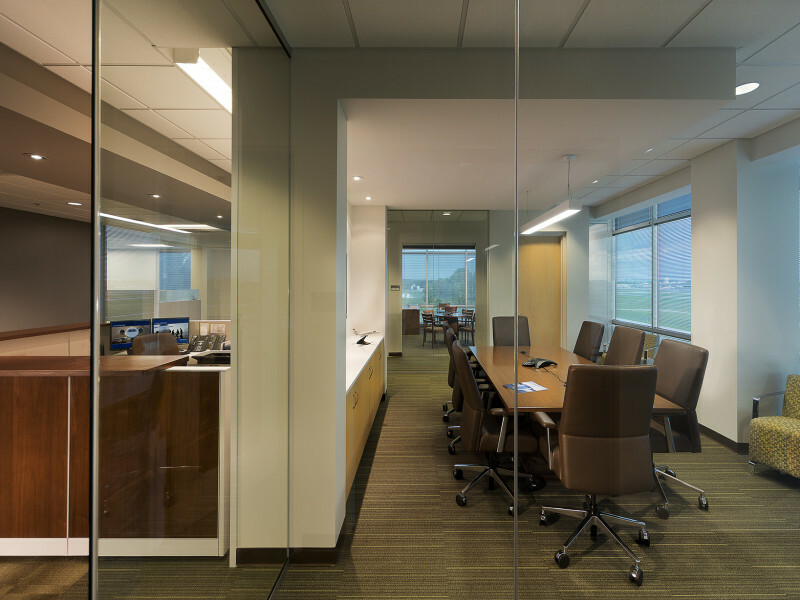 The interior of the building is designed to be a healthy collaborative work environment. 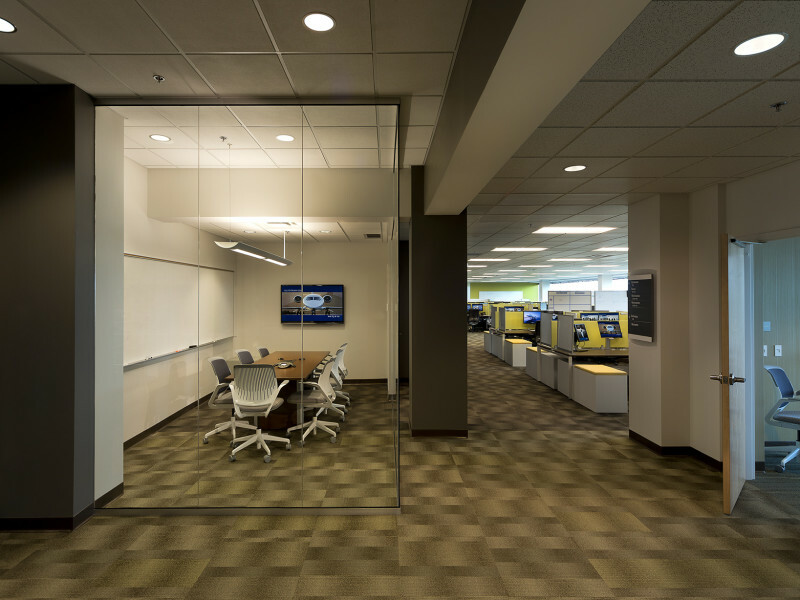 Space is bright, airy and has most work spaces laid out in low-walled workstations or glass-walled offices that allow natural light throughout the building. 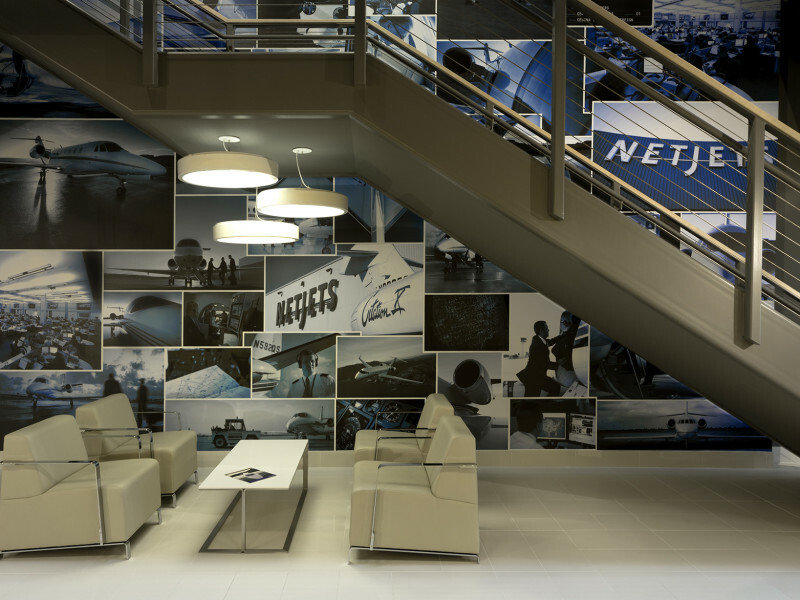 A large central skylight runs down the center of the building, letting light flood down a central stairwell that features a NetJets emblazoned mural alongside the stairs.